What even is a differential?! Have you ever stopped to think that while turning a corner your outside wheels have a slightly longer distance to go than the inside wheels and that means that the outside wheels must turn a bit faster than the inside? Probably not, but if you have, your question has been answered. The part of your vehicle that makes that possible is your differential! The differential is one of the most forgotten about parts of the vehicle, and in turn so is the service it needs! The differential allows the drive wheels to rotate at different speeds in turns without the wheel binding or hopping. If you have a rear-wheel drive vehicle, the differential is on the rear axle. You’ve seen that bulge in the middle of the axle when you’re behind a truck – that’s the differential! Now if you have a front wheel drive vehicle the differential function is handled by your transaxle. In an all-wheel drive vehicle, they have differentials on both axles and they also have a center differential or a transfer case between the front and rear axles to compensate for speed differences between the front and rear. Differentials are strong, and built to last a long time, depending on how long you own a vehicle you may never need to replace one but that’s why it’s important to keep your differential properly lubricated. Differential fluid cools and protects the gears to prevent metal-on-metal contact that can cause premature wear. Our highly skilled technicians check and top off your differential fluid at every major service. Not sure when the last time your differential was checked or serviced? 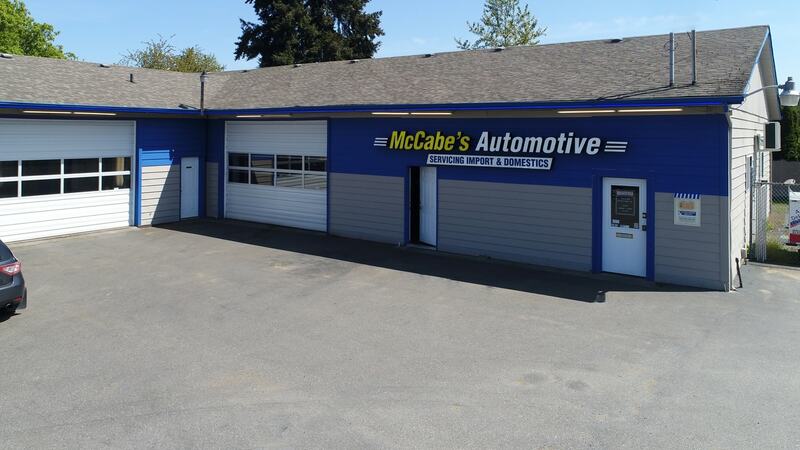 Give us a call (253) 565-5173, send us an email service@mccabesauto.com or reach out to us on social media!